Vanilla is the brown, wrinkled, elastic bean of a climbing orchid from Central America. The pod is about 1 to 2 cm wide and up to 25 cm in length. Inside the bean are many tiny seeds. The vanilla pod is harvested, fermented and dried to allow the seeds to develop their intense flavour and aroma. 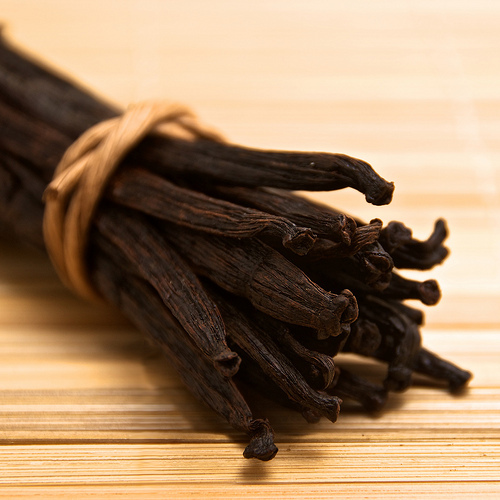 Vanilla has an excellent flavour, and is one of the most-used flavourings in desserts. Buy: Vanilla is sold as a liquid, paste, whole bean, and powder. The best is the whole bean. The bean should be elastic, strongly perfumed and may have some crystallization which is fine. Do not buy dried-out, brittle vanilla beans. It should smell like vanilla not rot. Be careful as there is an inferior synthetic version of vanilla called “vanillin” (vaniglina / vanillina) made from various substances, available in liquid form. Store: Store beans in a sealed but not airtight container in a cool, dark, dry place at room temperature for up to 6 months. If the beans dry out, they can be soaked before use. If mould develops on the bean, the bean is still edible, just wipe the bean with a kitchen towel soaked in a strong, flavourless alcohol like vodka and let sit in the sunlight for a day. 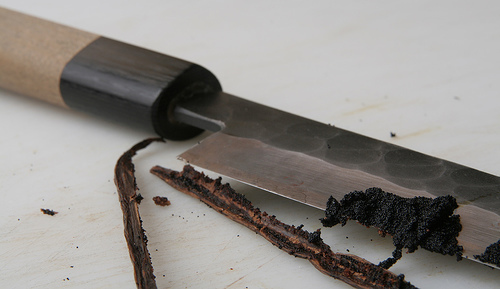 Vanilla extract and powder can be kept sealed in a cool, dark, dry place at room temperature until the expiration date on the packaging. Vanilla paste, once opened, should be kept in the refrigerator until the expiration date on the packaging. 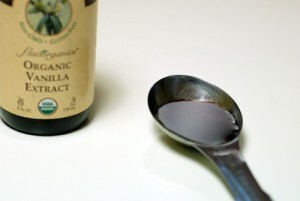 Prepare: To use the liquid (vanilla extract / vanilla essence), paste or powder, no preparation is needed. To use the whole bean, use the back of the knife to flatten the bean and starting at the stem end, slice down parallel to the flat bean lengthwise down the bean. Use the blade to scrape out the seeds and add to the dish. Vanilla is typically infused in milk or cream, added to sugar, or pounded with other ingredients. Vanilla is strongly flavoured so use in small amounts. The empty bean can be kept in sugar to perfume the sugar or wrapped in the cupboard to perfume another dish. The bean can be reused many times, washing and drying in between use. Eat: Vanilla is the main flavour in cakes, biscuits, tarts, soufflé, charlottes, semifreddo, pannacotta, gelato, creams (bavarese, la Chantilly), custards (crema pasticciera), sauces (salsa alla vaniglia), and liqueurs. It is also used to flavour cured meat (cotechino alla vaniglia). Veal is the milk-fed young cow, less than one year old. Veal is much more common (and prized) in Italy than beef, the meat from a cow over 2 years old (See Beef above). 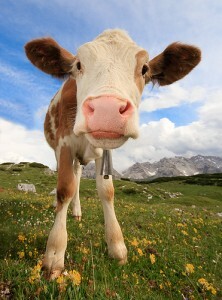 The meat from cows which have begun to graze, between 8 to 24 months old, is called “vitellone”. Vitellone is redder in colour than veal, firmer, and has more flavour. A notable variety is the vitellone bianco dell’Appennino centrale from Chianina, Marchigiana and Romagnola cattle. 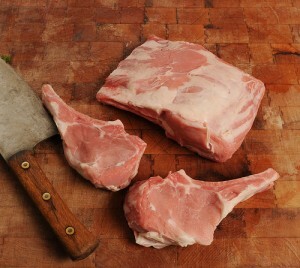 Veal is much lighter in colour (a pale pink) and is tender and juicy. The taste is more delicate than beef. The bones make a very gelatinous stock. Veal is more popular in northern Italy, particularly in Piemonte and Lombardia. Special varieties include Sanato from Piemonte and Veneto where the calf’s diet is supplemented with pasta and eggs. Buy: When buying milk-fed veal, the meat should be a rosy pink, firm and moist with pinkish translucent bones, but not wet. If it is greyish or brownish the meat is too old. The fat should be pure white without any pink. If you can see a lot of fat in the meat then the calf has been overfed, buy veal with little visible fat. Veal which is darker or has pink fat has been fed grain or grass and is classified as Vitellone. Store: Veal should be wrapped and stored in the refrigerator at 5˚C on a tray to catch any drips. Meat should be unwrapped and stored, lightly wrapped in parchment paper or aluminium foil in the refrigerator as an airtight container may promote bacterial growth. It should be stored on the bottom shelf of the refrigerator so it doesn’t contaminate other food. Veal steaks, chops, joints and mince can be kept in the refrigerator for 1 day. If your time requirement is longer than this then the veal can be frozen in thick airtight freezer bags at – 18˚C and then thawed in the refrigerator (6 to 7 hours per 450 gms) or in a sealed bag immersed in cold water when needed. Veal chops, steaks, joints and mince can be kept in the freezer for 4 to 8 months. If the meat begins to show signs of grey, white or brown patches on the meat, it is developing freezer burn and is dehydrating. It is still edible but will be dry and not taste nice. Organ meats such as liver, brain, tripe, and sweetbreads are more highly perishable and should be consumed within a week of slaughter or purchased frozen. Prepare: Rinse the meat with water and dry thoroughly. Prepare according to the recipe. Eat: Because the veal has little fat, other fats need to be added when cooking to ensure that it doesn’t dry out. 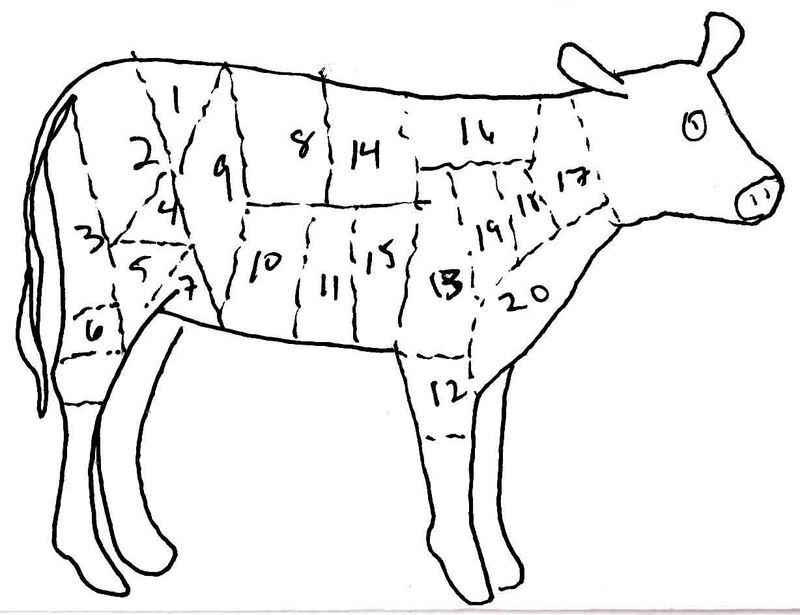 Veal can be fried (straccetti di vitello), roasted (vitello arrosto all’uso brianzolo), braised (ossobuco, vitello al latte, rostòn), poached or stewed (vitello in umido con cipolline). 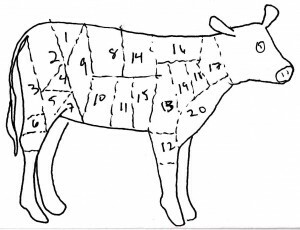 Veal can be thinly cut and cooked (vitello tonnato, vitello all’ucellato, saltimbocca alla romana, costoletta milanese), rolled or stuffed (vitello ripieno, tomaxelle). Vitellone is suitable for grilling (bistecca alla fiorentina). The veal liver (fegato alla veneziana), sweetbreads, brains and intestines (la pajata) are also eaten. Vinegar in Italy is typically made from wine (aceto di vino) whose ethyl alcohol has oxidized into acetic acid (minimum 6%). The best wine vinegar is made using the traditional method of adding vinegar to either both red or white wine (Orléans method). The most famous vinegar from Italy is balsamic vinegar (aceto balsamico) from Modena or Reggio Emilia in Emilia Romagna. Vinegar can also be made from fruit (aceto di frutta), cereal, honey, or malt. Vinegars can be flavoured by infusing them with herbs or chilli. Buy: Wine vinegar should be transparent. White wine vinegar will have a pinkish yellow colour and red wine vinegar should be pale garnet to dark ruby in colour. Balsamic vinegar (Aceto balsamico) is made by cooking the must of the Trebbiano white grape and mixing it with wine vinegar, caramel and aging it in wood. 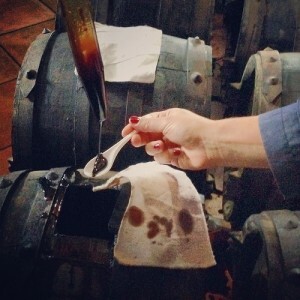 The vinegar is aged together with older vintages of vinegar in the Solera system (see Sherry). It is dark brown in colour and slightly sweet. 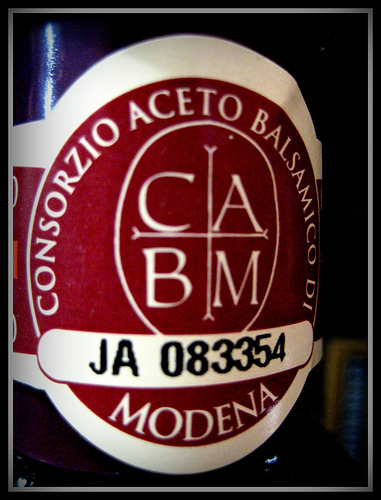 Aceto balsamico tradizionale is made from Trebbiano di Spagna and Lambrusco grapes. It must have been aged in different woods for a minimum of 12 years to be labelled “affinato” and 25 years to be labelled “extra vecchiato”. It is richly flavoured, aromatic, and dark brown in colour. The best of these vinegars can be enjoyed as a drink or used to dress strawberries or gelato. The best aceto balsamico tradizionale can be very expensive. 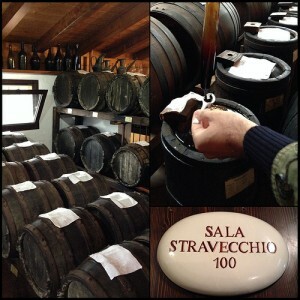 To read how traditional balsamic vinegar is made, click here. Affinato means “refined” and is aged for a minimum of 60 days. Invecchiato means “aged” and is aged for a minimum of 3 years. Store: Store vinegar sealed in a cool, dark place at room temperature for up to a year. The vinegar may become cloudy during storage but it is still safe to eat. Prepare: Vinegar can be made at home by adding a “vinegar mother” – a fungus that lives in wine – to leftover wine and storing it in an earthenware container and loosely covering it so it can breathe. When the vinegar is acidic (minimum 6%), filter it into a bottle, seal, and let it age for at least a month. Store purchased vinegar needs no specific preparation. Eat: Vinegar is used in salad dressings (puntarelle), sweet and sour vegetables and fish (agrodolce, in saor), pickling vegetables, marinating and tenderizing meat or fish, or for adding sharpness to a dish. 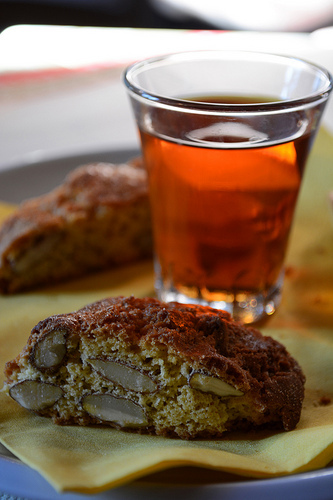 Vin Santo is a sweet wine which has an intense flavour and 15 to 17% alcohol level. It is made from grapes which are dried before pressing to concentrate the sugars. The resulting juice is aged in oak or chestnut wooden casks for a minimum of three years. It is typically white although there is a red variety (Occhio di Pernice) made with Sangiovese grapes. There is also a fortified version (Vin Santo Liquoroso). Vin santo is made in different areas but the most famous varieties are from Toscana. In Toscana it is made with Trebbiano or Malvasia grapes (some of the best are in the DOCs of Pomino, Carmignano, Bolgheri, Elba, Chianti Classico, Chianti Ruffina and Montepulciano), in Veneto it is made with Garganega grapes (Vin Santo di Gambellara DOC) and in Umbria it is made with Grechetto and Malvasia grapes (Vin Santo Umbro). The name means “holy wine” as it has traditionally been used as a communion wine in church. Buy: The best Vin Santo will tend to have a higher percentage of Malvasia grapes in it. Vin Santo from Montepulciano is particularly prized as it is more complex in flavour and full-bodied. Better producers will age the Vin Santo for 5 years. Buy from top producers such as Avignonesi, Capezzana, Fontodi, Isole e Olena, Poliziano, San Giusto a Rentennano, and Selvapiana. It is sold in 350, 500 and 750 ml bottles made of clear glass so the colour of the wine is visible. Vin Santo ranges in quality, style, colour (from gold to orange to red), and sweetness (from dry to cloyingly sweet). It is best to try many types first to determine which are preferable. Otherwise check tasting notes of wine professionals on the internet. Store: Wines should be kept in a dark place which is constant in temperature (10-15˚C) and humidity (70%). It should be moved as little as possible and be kept at an angle on its side so that both the wine and the air bubble inside the bottle are in contact with the cork. Check vintage dates online to see how long the wine can be kept for and when is the ideal time to drink it. Once opened, cork the bottle and store it upright in the refrigerator for up to a week. Prepare: Serve Vin Santo at its storage temperature (12-15˚C). Drink: It can be added to desserts or enjoyed on its own or accompanied by desserts. Vin santo’s classic pairing is cantuccini / biscottini alla mandorla (almond biscuits).